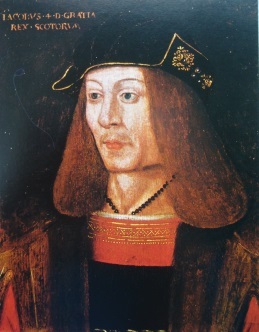 James V became King aged just seventeen months when his father, James IV, was killed at the Battle of Flodden in 1513. 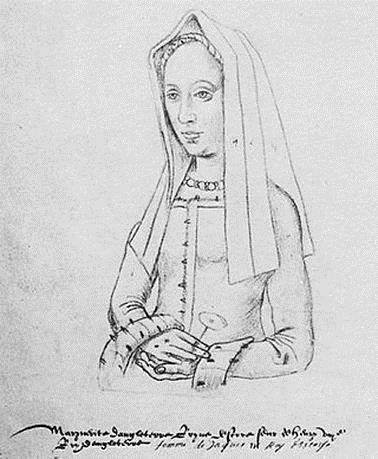 Initially, his mother, Margaret of England was his ‘tutrix’ and Governor of the kingdom, but she forfeited this position (most unwillingly) when she remarried. The Scots Estates invited James’ relative and nearest adult male heir to act as Governor. Albany had been born and brought up in France, and this exposed a division in Scottish politics between those who favoured the continuation of the Auld Alliance with France, led by James Beaton, Archbishop of St Andrew’s, and those, such as the Queen Mother, and her new husband, who favoured a pro-English stance. 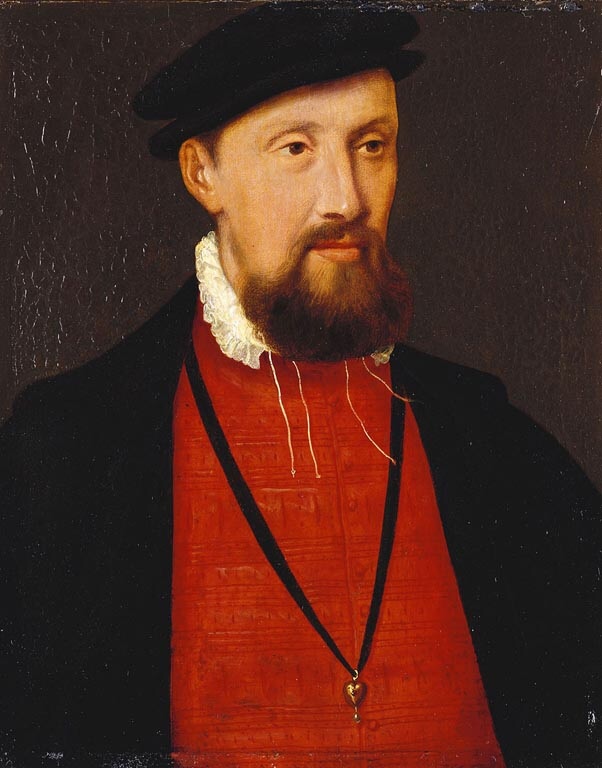 Albany eventually arrived in Scotland in 1515, and, although he treated Queen Margaret courteously, he insisted that she hand over James and his younger brother to the care of a rotating group of nobles. Reluctantly, Margaret complied, and not long after, apparently fearing for her safety, she secretly left Linlithgow for England where she remained until spring of 1517. The Governorship of Albany did not proceed smoothly. Although many of the nobles supported him, others, such as Lord Home, did not. He did, however, come to terms with James’ step-father, who had left his wife in England. Queen Margaret returned in 1517, and Albany left to return to his home in France. In late 1521, Albany returned to Scotland, and this time received the support of Queen Margaret, who was estranged from Angus, having discovered he was keeping a mistress on her money. In 1524, Albany, returned to France. He continued to act for James as his envoy and ambassador, particularly to the Papal Court at Rome. Meanwhile, James had been proclaimed as of an age (although he was only 12) to no longer require a Governor, and the lords swore allegiance to him at Edinburgh Castle in May 1524. It was agreed, however, that he should still be in the guardianship of a group of lords, with whom he would live for three months each, rotating amongst them. When the turn of the Earl of Angus was completed, he refused to surrender the King, and, for the next four years, James was under his control. James would never forgive Angus, or the Douglases, for his humiliation during this period. Later, large scale confiscations of property, and, most shocking, the burning of Angus’ sister, Janet, Lady Glamis, are witness to his anger. Eventually, in 1528, James managed to escape from Angus’ clutches and took control of Government himself, aged just sixteen. James’ aims as King were to strengthen royal authority, improve his finances, impose law and order in the Borders, and in the Highlands and Islands, and be seen as king of an important country on the European stage. Many of his actions alienated his lords, who were averse to strong central authority, and as James does not seem to have had the personal charm of his father, James IV, or his daughter, Mary, Queen of Scots, his life was not always easy. 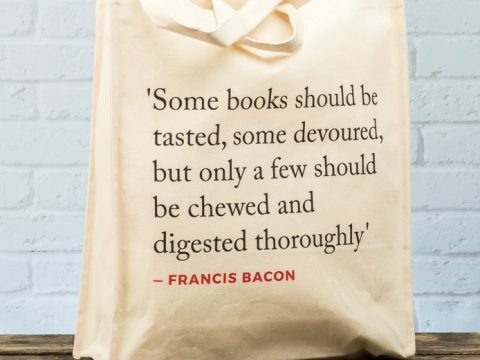 Nevertheless, in great measure, he succeeded in his aims. In 1529 and 1530, he led major expeditions in the Borders to capture and punish notorious leaders, such as Johnnie Armstrong (a folk hero in the ballad but actually a thief, murderer and extortioner). He then turned his attention to the west, and, having received complaints about his lieutenant there, the Earl of Arran, reached an accommodation with Alexander of Islay. James served Henry VIII a dose of his own medicine by supporting Irish rebels, in retaliation for the continued support by Henry of Angus and his brother. In 1536, James, having brought Scotland to its most peaceful state since the reign of his father, travelled to France for a bride. 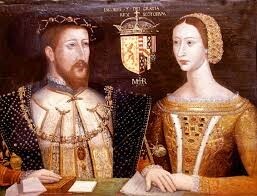 He married Madeleine, daughter of Francois I of France, and the young couple returned to Scotland in May 1537. The Queen died within a couple of months, and, needing an heir, James remarried. 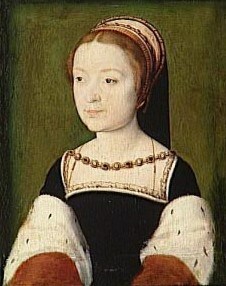 His second wife was Marie de Guise, a member of the ducal house of Lorraine. Queen Marie bore three children, but the first two, who were boys, died within days of each other in 1541. James, who had significantly increased royal revenues, and also received large dowries with both his wives spent huge amounts of money creating a Renaissance court. The palaces of Linlithgow, Holyrood, Stirling and Falkland were all refurbished in the latest style, and hung with tapestries. Whilst James followed new fashions in architecture, he resisted doctrinal change in religion, remaining a devoted son of the Catholic Church. This did not prevent him from milking the Church for money – a factor that increased the already widespread corruption in the church and gave ammunition to the burgeoning Protestant population. Whilst there were numerous heresy trials, there were very few actual burnings. In 1541, war with England flared up, when the Duke of Norfolk invaded with a substantial force, intending a lightening border raid. He was roundly defeated at Haddon Rig, by the Earl of Huntly, but James’ lords would not follow up with a full scale attack on England. A lesser raid was planned, on the western border. James himself did not take part, bearing in mind the disaster of his father’s death in battle, and also that he was ill. The raid turned into a disaster as, on 24th November 1542 Scottish troops were broken at Solway Moss, and 1,200 prisoners taken. James returned to Falkland Palace, but his health deteriorated, and he died on 14 th December, aged 30. Later stories that he died of a broken heart do not take account of his symptoms, which were those of dysentery, as well as the fact that battles had been lost and won before, and that England was no more in a position to follow up the victory at Solway Moss, than it had been to take advantage of any other successful raid. James’ heir was his six-day old daughter, Mary. A later story claims that his last words were ‘it cam’ wi’ a lass, and it’ll gang wi’ a lass’, but there is no contemporary confirmation.